...and I'm not talking about music. Every year I get a bummed out just after Halloween. Don't get me wrong, I had a great time this year on Halloween, but I always feel a little hollow afterwards. This year life got nuts and I wasn't able to do some of the things that I love to do before Halloween. For example, I only carved one of the five pumpkins I bought. I didn't make my annual Halloween CD (which I did get a little feedback on from those who were hoping to see one coming their way). I didn't decorate my house...at all...nothin'. I had people asking me throughout the month if I'm getting geared up...excited, "this is YOUR holiday after all" and then post Halloween everyone was very interested in knowing how I spent Halloween (thank goodness for Brent and Kasey Ross and Brent's DC Cemetery (here)...a GREAT way to spend Halloween). Also, since my Father passed away on October 31st, 2005 Halloween has always been a little different. I am hoping that I can once again get into the full blown Halloween spirit. So how about any of you? Do you get the post Halloween blues? How do you deal with them? I also had a chance to drink some good pumpkin beers. 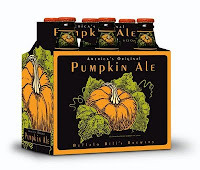 Each year I get into the whole pumpkin beer spirit and even though they're not my favorite in the world, they do tend to add to the whole Halloween/Fall/Thanksgiving spirit. I tried the Shipyard Smashed Pumpkin (Pugsley's Signature Series) Ale (a 9.00% ABV). A 22 oz. bottle that was a big-bodied beer with a light coppery orange color and pleasing aroma of pumpkin and nutmeg (along with other spices - to be expected). The bottle states: "To fully enjoy all the flavors, this ale is best drunk at 55 degrees Fahrenheit. Smashed Pumpkin pairs well with sharp cheeses, nuts, lamb, hearty stews and desserts like flan or pumpkin pie. Chefs find this an excellent beer to cook with in dishes such as braised short ribs." I drank the beer while I watched "Dracula" with my daughter while we ate aged Gouda and crackers...nice day and a great beer. Check out Shipyard Brewing Co. here. While at the local Costco I decided to pick up a case of Buffalo Bill's Pumpkin Ale (5.20% ABV). Buffalo Bill's Brewery is local to me (they are in Hayward, CA) and my wife and I enjoy going there for dinner (and their on tap beers) from time to time. 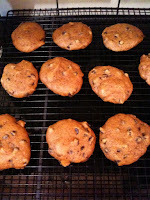 I had a few of these on Halloween night...always mixes great with the festivities of the season. "America's Original Pumpkin Ale" is available at many stores...check out Buffalo Bill's here. As I mentioned in a previous post, October is Mark Harvey's "Christmas" and so I do buy a few things here and there (and there and here again). OK...super consumer. Pictured on the left is a belt buckle that I had been eyeing for a little while and I broke down and bought myself one. 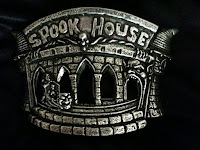 Now I need to find a belt to go with it and then I can rock the "Spook House" buckle. The MONSTER BUCKLE! Check out the incredible variety here. From their site..."Each Buckle is a hand crafted limited Edition piece made with semi precious metals right here in the U.S. Sculpted molded and castled by horror fanatics for horror fanatics, No machines, No mass production, No corporations. High quality collectors metals such as Fine Pewter, Brass and Nickel. The largest run we have ever done in any finish is 200. Some runs are coming to an end so get'em before we sell out!"